By day Marie, like her great-grandfater, is a guard at the British Museum where she watches the paintings and patrons as well as thinks. After working hours she keeps company with her friend Daniel, another guard and poet. She also creates miniature landscapes inside egg shells. From her great grandfather she knows about the radical feminist who slashed the Venus painting as well as other feminists of the pre-WW1 England era. This is important and quite interesting, although I knew the highlights. At the museum Marie learns about craquelure, the phenomenon of cracking in old paintings, a result of stress. She notices cracks and wrinkles in people, too. And she notices some stresses in herself. A certain amount of tension builds as the main theme seems to revolve around deterioration in art, architecture, people – everything is affected by time (entropy), but violence also causes deterioration, to the point of something or someone falling apart. 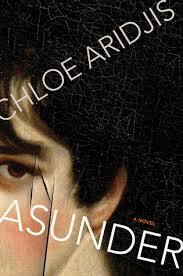 I’m not sure I’d recommend the book – It was fun on one level, interesting on another (the theme of craquelure in people, places, things, natural and forced) but not great. I found it to be awkwardly constructed for some reason, not sure how some of the episodes fit except that something or someone was falling apart. The reader wonders what will happen to Marie – will she, too? But that’s the major tension running through the book, so I won’t say.